At Texas Foot Specialists we notice that many times patients do not come to us with a skin or toenail complaint right away. Often people are not immediately aware that they have contracted a fungal or other infection, or the symptoms may be minor and so they don’t believe it requires treatment. 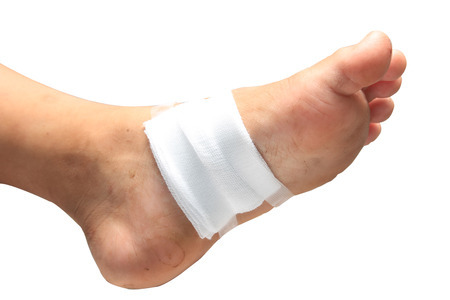 Common foot and nail infections include: athlete’s foot, warts, contact dermatitis and fungal toenails. In most instances these are not serious threats to your health, unless you have diabetes or an autoimmune disease, in which case you should contact the podiatrist immediately. Even if your immune system is not compromised, however, foot and nail infections should be treated promptly. These types of skin problems can grow and spread to other parts of your feet or body. In addition, there is a risk of them becoming infected. Cover up your feet. Wear shower shoes or flip flops at the nail salon, gym and when using communal showers in locker rooms, since most fungal, bacterial and viral infections are spread by direct contact. Alternate your footwear. Bacteria and fungi love dark, damp places like the insides of your shoes. Allowing shoes a chance to air out between wearings can reduce the risk of fungal and bacterial growth. Keep feet dry. If your feet spend a prolonged amount of time in a moist environment, like all day in sweaty socks, you greatly increase the risk of infection developing. If you sweat profusely, use a foot powder before putting on your socks and change your socks multiple times during the day if necessary. Don’t share. Swapping shoes, borrowing someone’s nail clippers or file, and sharing a towel are all ways to spread infection. The rule is if it touches someone else’s feet, don’t let it touch yours! Practice good hygiene. Washing your feet every day with soap and water and then drying them completely will go a long way toward preventing infections of the skin and nails of your feet. If you do notice any redness, itchy, flaking or unusual bumps on your skin or discoloration of your toenails, contact our Houston, Sugar Land or Pasadena office for an appointment sooner rather than later. Our podiatrists, Dr. Bruce Miller and Dr. Gregory Mangum, will examine your feet and prescribe the correct treatment for your foot or nail infection.